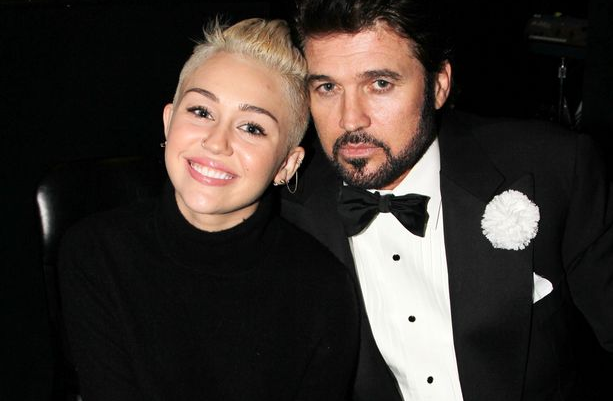 Miley Cyrus lashes out on Twitter after her father Billy Ray Cyrus files for divorce. Despite all the success Miley’s been having lately, there’s still trouble in Cyrus paradise, as Billy Ray and Tish, Miley’s parents , are divorcing. This is their second go at a divorce, after Billy Ray filed the papers three years ago, but then withdrew the claim to try and rebuild the marriage. The couple do have a lot on the line – they’ve been married for 13 years and have five children together. Only one of those children is still a minor – Noah Cyrus, who is only 13. Unsurprisingly, Tish has asked for full custody with visitation rights for Billy Ray. Her plea also includes spousal support and coverage of all her legal fees. According to a report by TMZ, it was Tish who made the first move this time, citing “irreconcilable differences” as the reason. Clearly, a lot has been going on behind the scenes since we last checked in with the Cyrus family, but this is how they intend to keep the matter – private." Tish tells TMZ, "This is a personal matter and we are working to find a resolution that is in the best interest of our family. We ask that you respect our privacy at this time." Miley on the other hand, seems less keen on the whole privacy thing, instead using her twitter feed to reach out to her father. Well, “reaching out” might not be the appropriate term here. Yesterday, the “We Can’t Stop” singer tweeted the following message @billyraycyrus: "since your texts and email obviously aren't working would you like to talk like this?" I can feel Miley's pain. I have some advice on what to do. Don't make it into a family argument. Talk about it. That may help you feel better. Instead of lashing out at your parents, tell them how you feel. If you express your feelings in a calm way they would probably not get divorced since you told them what you felt in a calm way. I hope my advice works. I wish you lots of luck Miley!